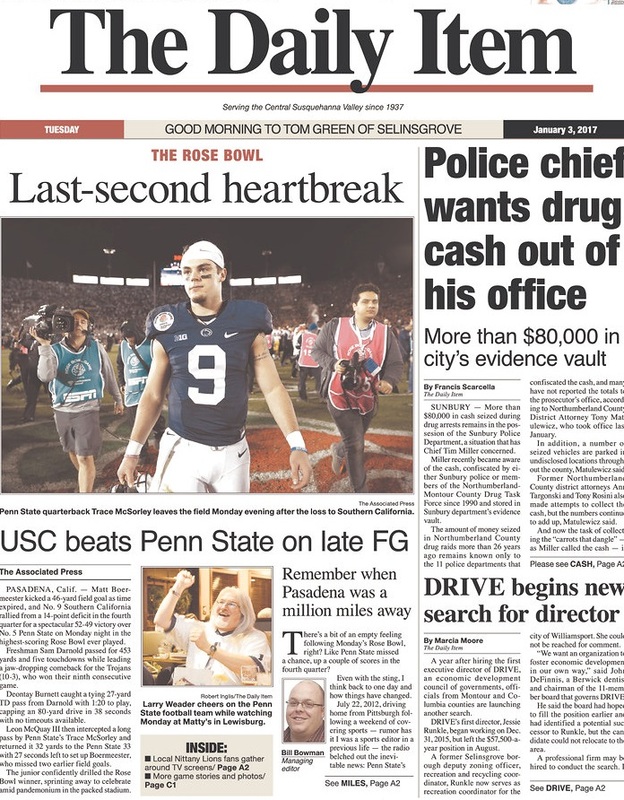 The 103rd Rose Bowl featured 101 total points. 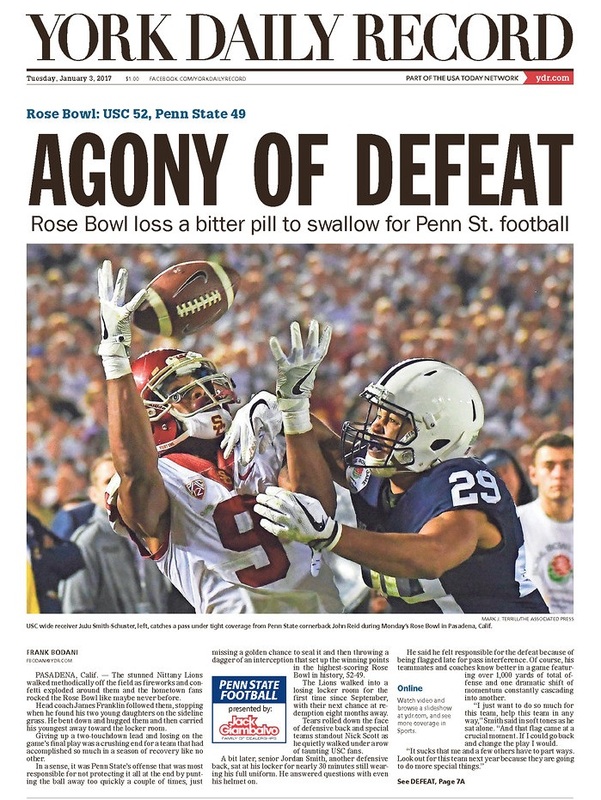 That was a hell of a Rose Bowl. 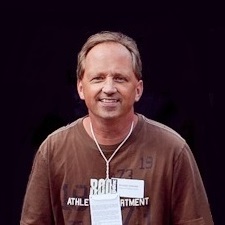 Unless you are a Los Angeles Rams fan and follow ESPN senior writer Arash Markazi on Twitter. Or, obviously, are a supporter of the team that came up on the losing end of the record-setting 52-49 final score. 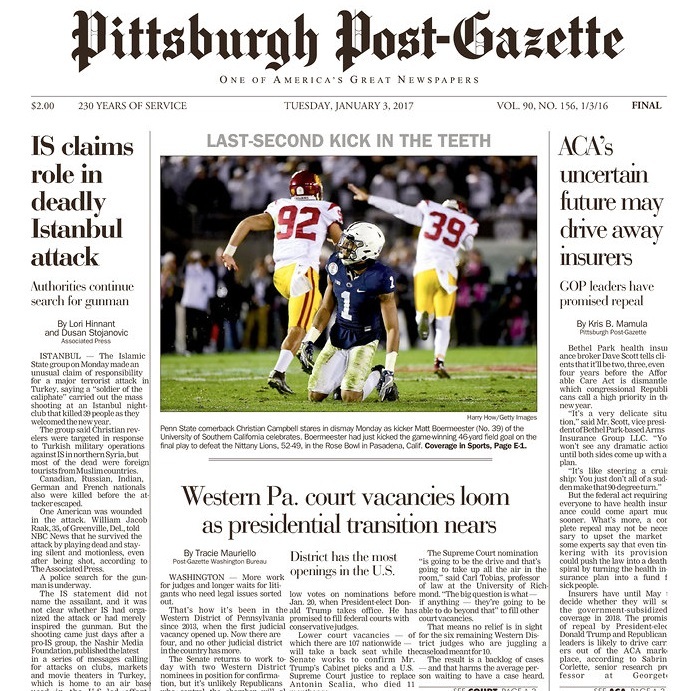 In the Keystone State today, the front pages of most daily newspapers say it all, with the Pittsburgh Post-Gazette winning for best metaphor. 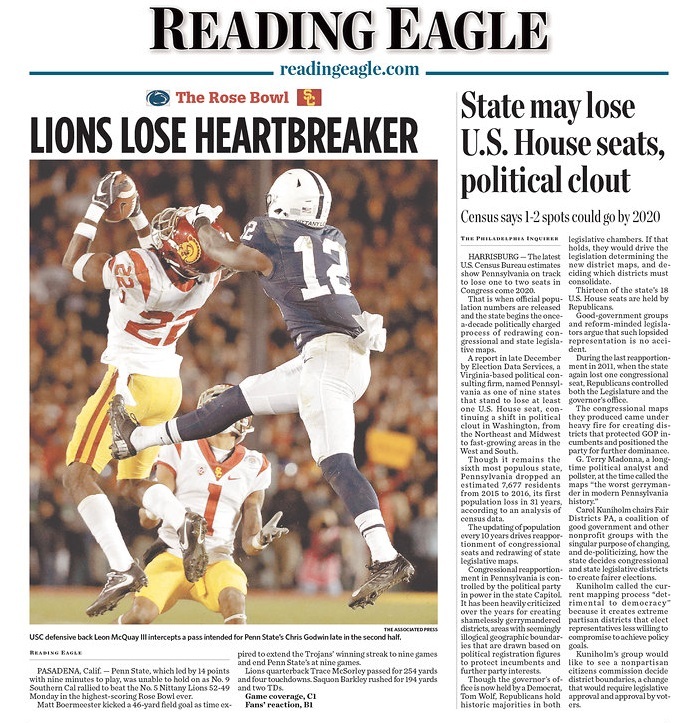 Several other Pennsylvania dailies went with a more hopeful Penn State fan’s POV. 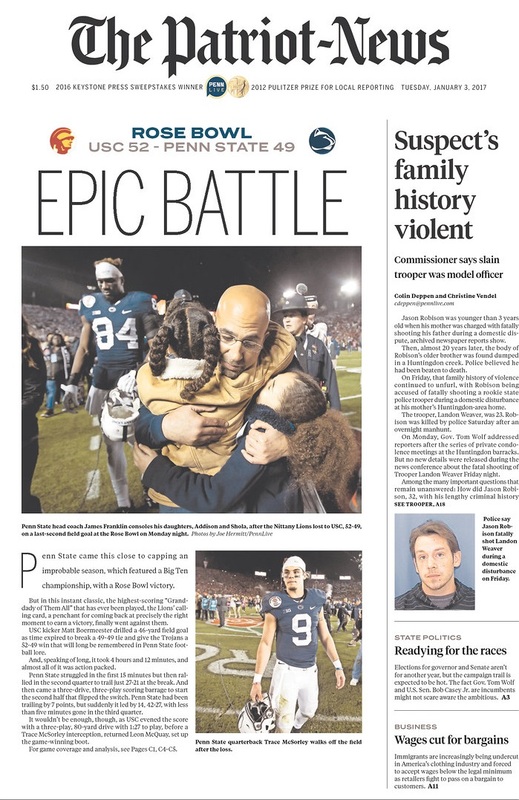 And as far as standout front-page visuals, the Harrisburg Patriot-News wins for its editors’ subtle framing of the loss, via a lead photo of Penn State head coach James Franklin embracing his disconsolate daughters.